Biz Leaders Weigh In: Are Colleges Preparing Students for the Workplace? Are Colleges Preparing Students for the Workplace? 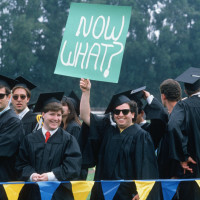 A new Gallup survey that polled business leaders on higher-education issues revealed that executives hold a low opinion of the ability of colleges to prepare students for the workplace. American adults also believe just as strongly that higher-ed institutions are not readying students for employment. According to the survey, which was conducted in partnership with the Lumina Foundation, only 11% of business leaders “strongly agree” that today’s undergraduates are leaving college with the skills and competencies that they need to succeed in their workplaces. Fourteen percent of Americans believe the same thing. What I find fascinating is the disconnect between the perceptions of college administrators and business leaders. Every year Gallup surveys college provosts and chief academic officers and in the latest poll, which was released last year, 96% of college administrators, said they were “extremely or somewhat confident” in their institution’s ability to prepare their students for the workforce. I suspect that the true answer – are students being prepared for the workplace – lies somewhere between these two extreme positions. What I also found fascinating is that only 28% of business leaders said that a graduate’s college major was “very important” considering how obsessed parents and teenagers are about picking the “right” college major. Do Stem Majors Really Enjoy an Advantage? 11 Responses to Are Colleges Preparing Students for the Workplace? Colleges need to change their programs so students are getting exposure to real life situation. More internships, more classes working directly with companies, more site-on work. Do the employers understand that colleges are not trade schools. Are trade school degrees really what employers are asking for? There seems to be great confusion here. Excellent question! I think some employers do believe they should be trade schools, which is mind-boggling to me. I’m not in the education field, but am in the high tech one. I suspect a large part of the problem lies in who being asked and what their expectations are. What we often say is a college education is merely a license to learn and means someone is trainable to do the job. It typically takes 5 years post college for someone to be independently productive in my field. Yet my management naively expects that we could hire fully prepared, ready to go engineers right out of college who have the skills of someone who’s been on the job for years with an exact match for THEIR company. I’m not sure how much of the problem is with education as it is with unrealistic expectations. My hunch is that employers are wildly unrealistic about how colleges should be preparing their students for the work world. It’s interesting that the business respondents said that major was unimportant but applied skills were very important. After working with career counselors and entry-level employment recruiters I came to believe that applied skills were part of the curriculum in most of the majors that were being recruited on college campuses. This includes mainly accounting, computer science, chemistry, engineering, finance and information systems, but it can also apply to health professions and teachers. During my years working around recruiters I never heard that the students they sought were not learning anything “relevant” in their education. I did learn, however, that they found that candidates who did not have much of a work history thought more of themselves than the employers thought of them. That’s a “failure” from a lack of interview skills or team-building skills, not the academic curriculum. In addition, most career-related programs are voluntary for students. Indiana University’s Kelley School of Business provides notable exceptions. The problem with surveys like these are that neither senior college administrators nor business leaders are close to the hiring process for co-ops, interns and full-time, entry-level employees. If the survey managers had interviewed entry-level recruiters and career services directors or experiential learning directors, I suspect we’d be reading a different story. I suspect you are right on the responses from employers actually doing the hiring, which is sad. We should also note that 38% of the respondents strongly disagreed with the statement that a college degree was necessary for success in most of the jobs at their business. Are these respondents then commenting on whether or not college grads are well qualified? Hmph. I would find this information more useful if business leaders indicated exactly what skills college grads are missing. I take the complaints of business leaders with a grain of salt. It is clear that businesses have been reluctant to hire in recent years, but it’s a little too convenient for them to start complaining about lack of preparedness for the workplace. Maybe they are just more picky or more risk averse than they used to be. Certainly it seems that businesses are less willing to invest in worker training. So it would be nice if they could be a bit more specific. 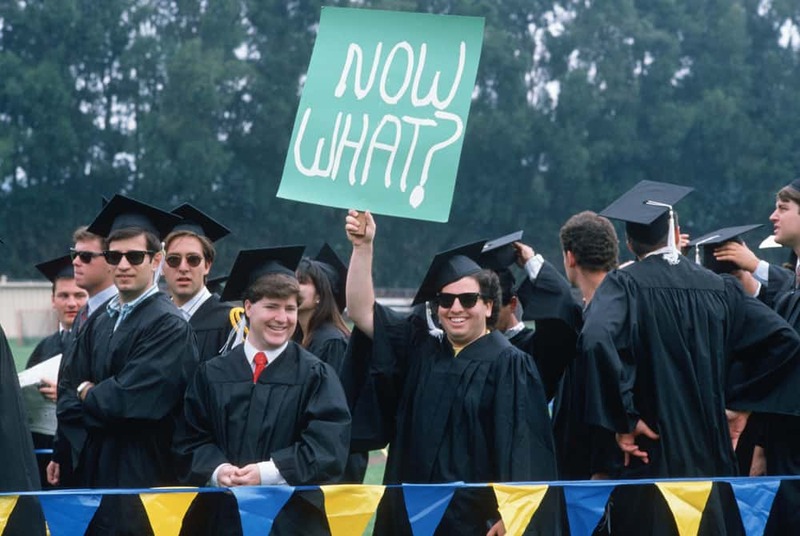 Are recent college grads actually less qualified than they used to be, and if so, how? Or are businesses looking for different a skillset than they used to, and if so, what is it?